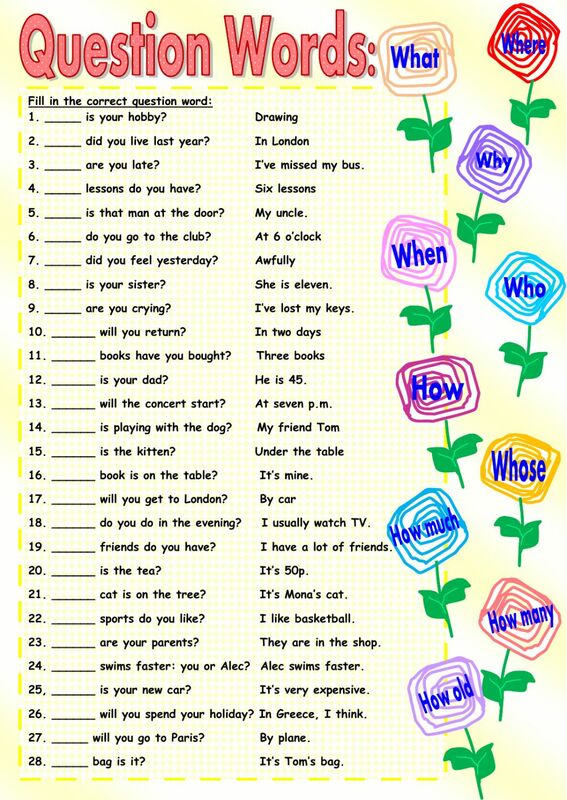 Twenty-eight sentences for practicing the question words. Thank you!!!! Thank you! It's beautiful and very well-planned, too! this worksheet is very geat! This worksheet is excellent and challenging! It's useful and interesting. Excellent work. Thanks for the good work but i wish you added "what time"
Really nice and useful. Thank you! Thank you so much for your worksheet. Very useful for KET students. Thank you. It is a great activity Thanks! !